Sometimes when you go on an organization kick, you tend to come across items that you forgot you had. I found these foundations by the yard foundation packages and was going to place them up for sale on eBay. I just could not part with them. They were so neat and they were in my most favorite pattern, the Hunter's Star! So, I decided I was going to use the items! 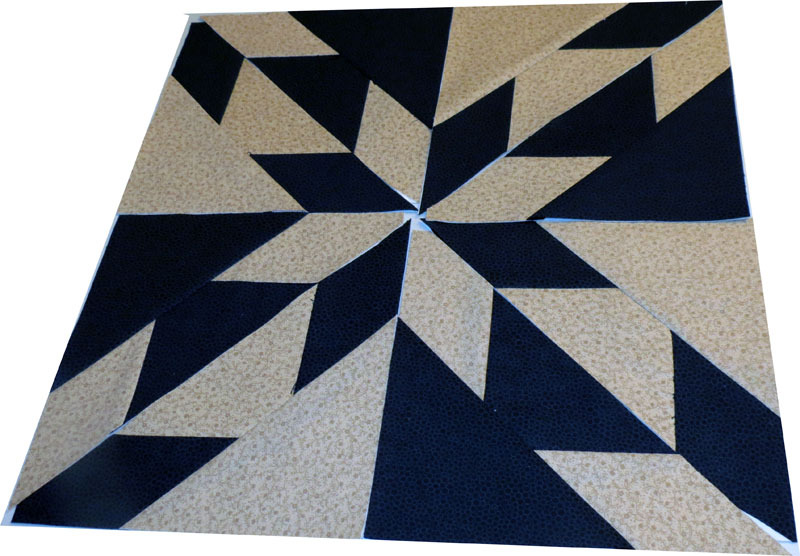 Now, what color to make the Hunter's Star quilt. 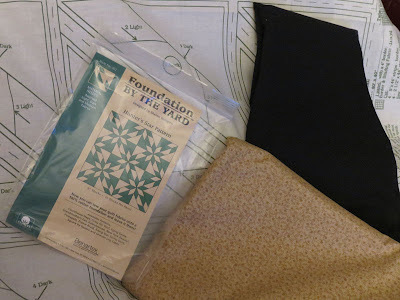 I wanted to make it Black and Tan and I was lucky enough to find black and tan fabric in my stash! I hope there will be enough. So, here is my next project. Now, I am taking it slow since I know my work hours have been very long each day. If I get two blocks completed per day, I will be able to make some progress. 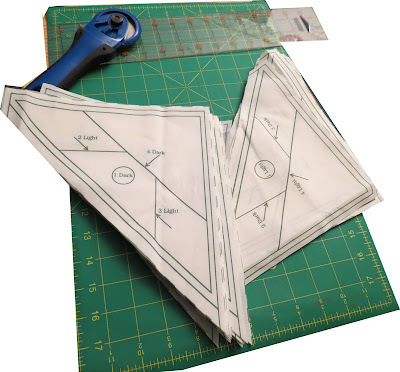 THE START OF A HUNTER'S STAR QUILT! I bought those to! I'll have to go dig them out! Thanks for the reminder.